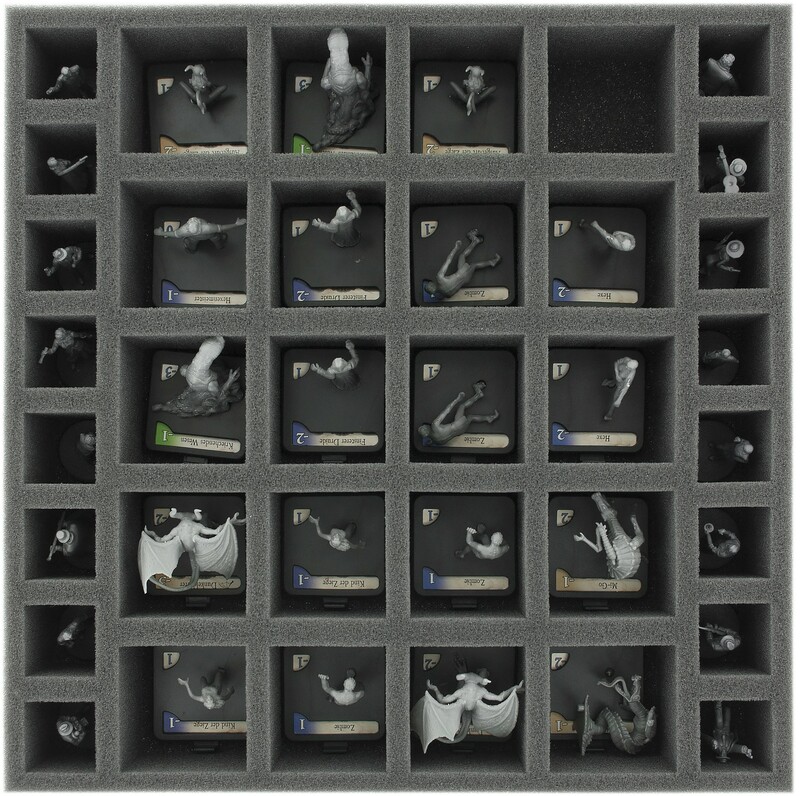 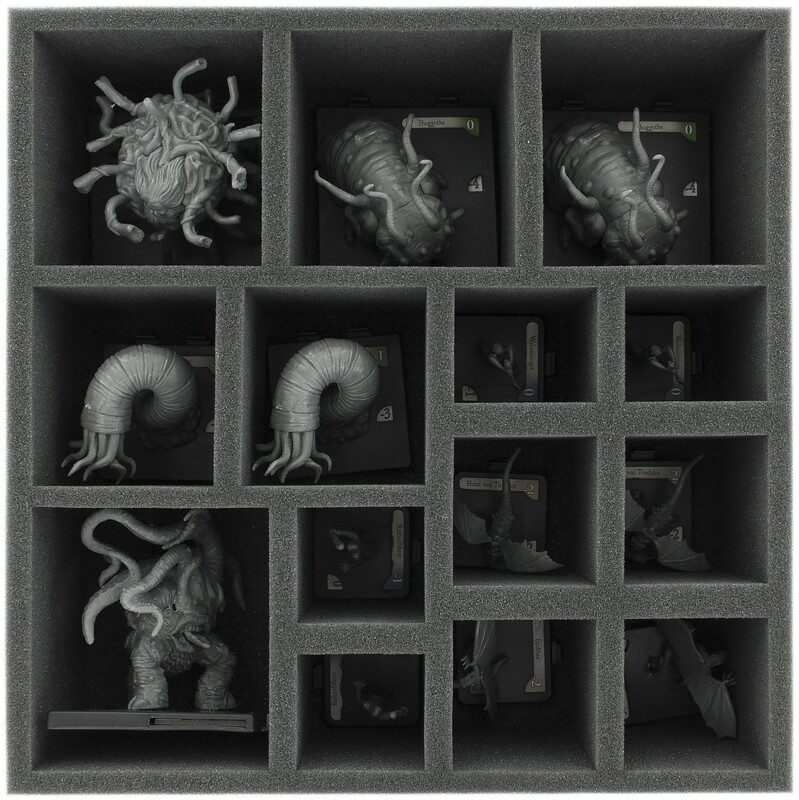 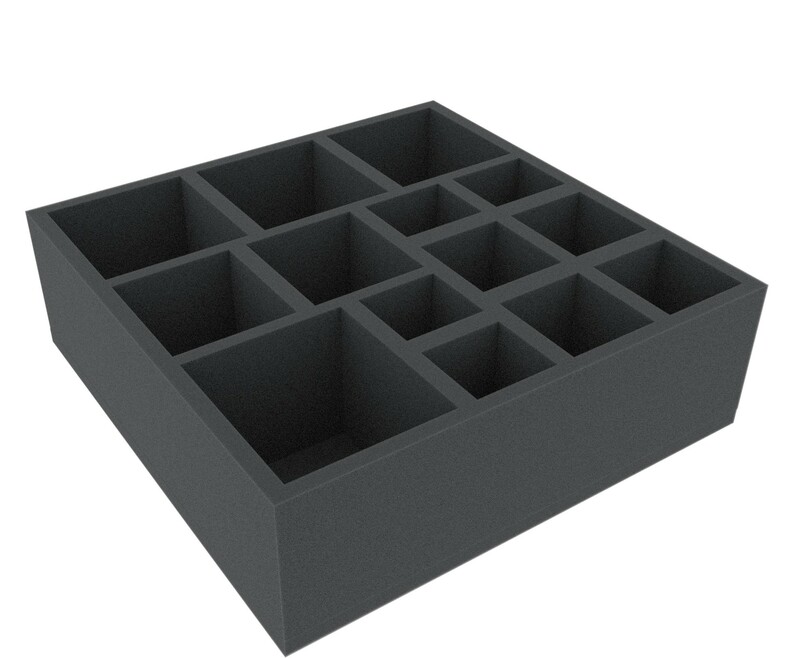 Two trays with 50 compartments for all large and small miniatures from the two expansions for Mansions of Madness Second Edition. 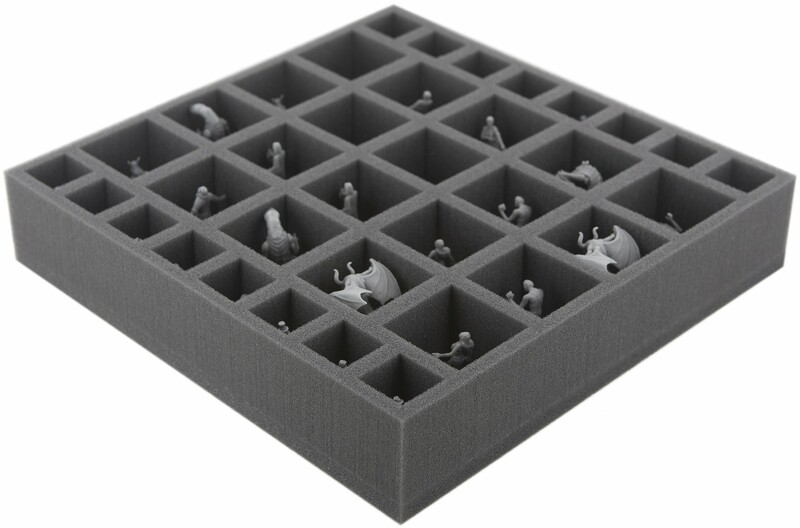 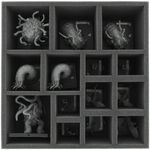 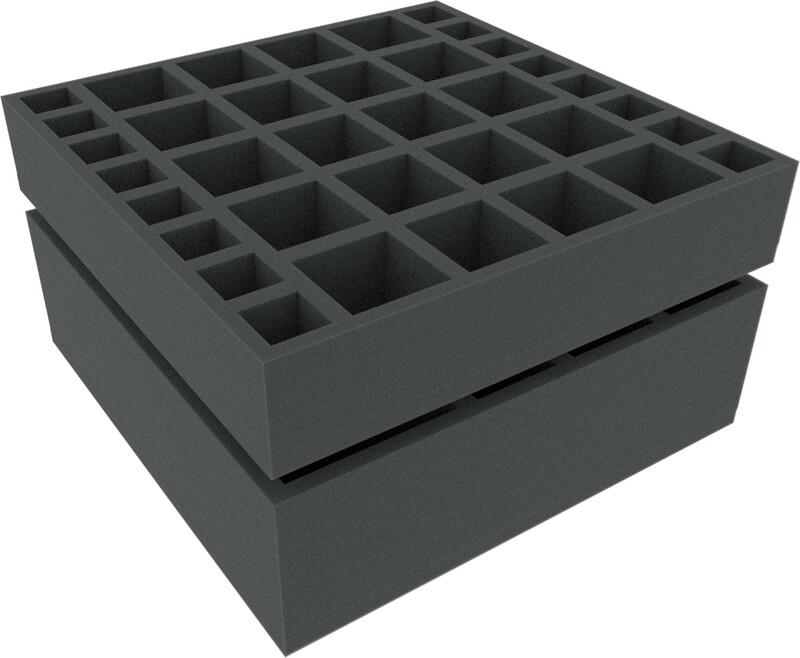 All miniatures of "Recurring Nightmares" and "Suppressed Memories" fit into the foam trays. 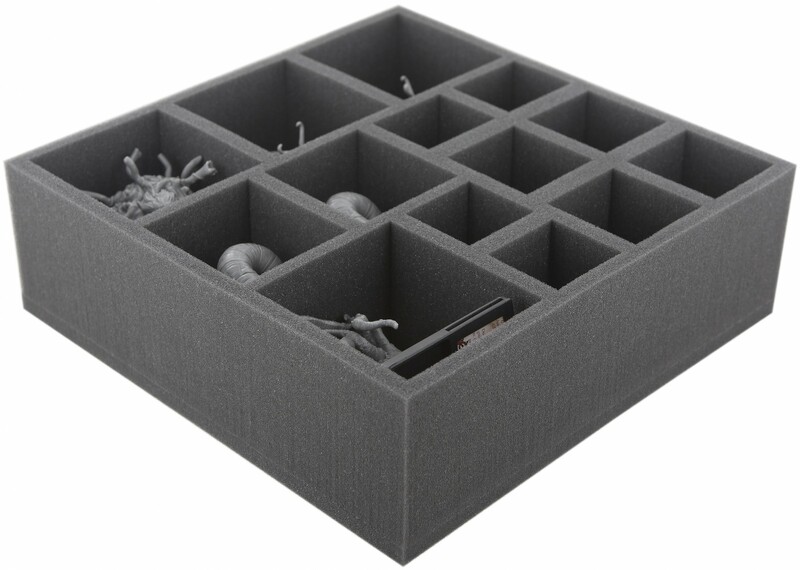 The foam insert fits perfectly into the original board game box, or into the Feldherr box LBBG.